Thursday night is September's KTOL class so I thought I'd share the layout for the class for those of you taking part. For everyone else, it's a little eye candy! This month's layout is a combination of autumn colors by Basic Grey & My Mind's Eye with a little orange thrown in courtesy of Jillibean Soup. 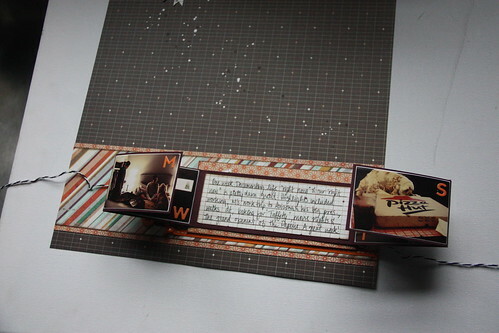 As always, I included an interactive element with room for multiple pictures. 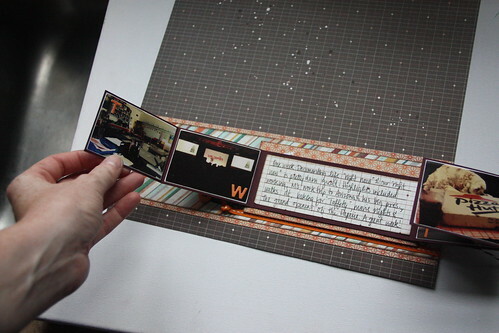 This month's interactive element is a double accordion booklet with room for seven photos. 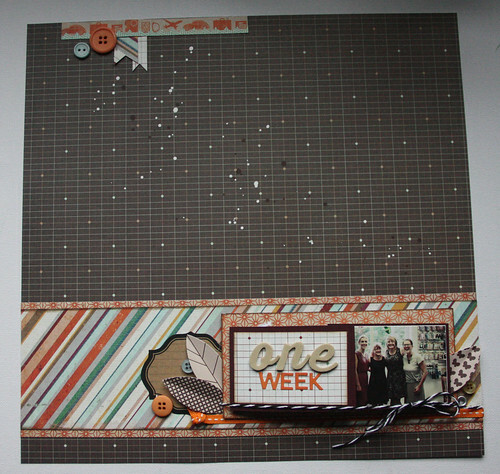 Many of us took park in Week in The Life this month so I chose to include a pic from each day of the week in my layout, using the orange Jillibean Alphabeans I labeled each pic with each weekday's initial to identify which day was which. I added my journaling on a large block in the centre but you could use that for another longer photo. Can't wait to see all you ladies on Thursday night! You'll be needing 7 two by three photos for this layout and we'll be using the usual page protector so come prepared to fill that as well. Brilliant! Love this idea! TFS. The colors of your layout are gorgeous! !